Who would have thought, seven years ago, that a local community choir from rural Wiltshire would be invited to sing in one of most famous concert halls in the world? But it is true! And with your help we can get the choir from Wiltshire to New York to perform in The Carnegie Hall. 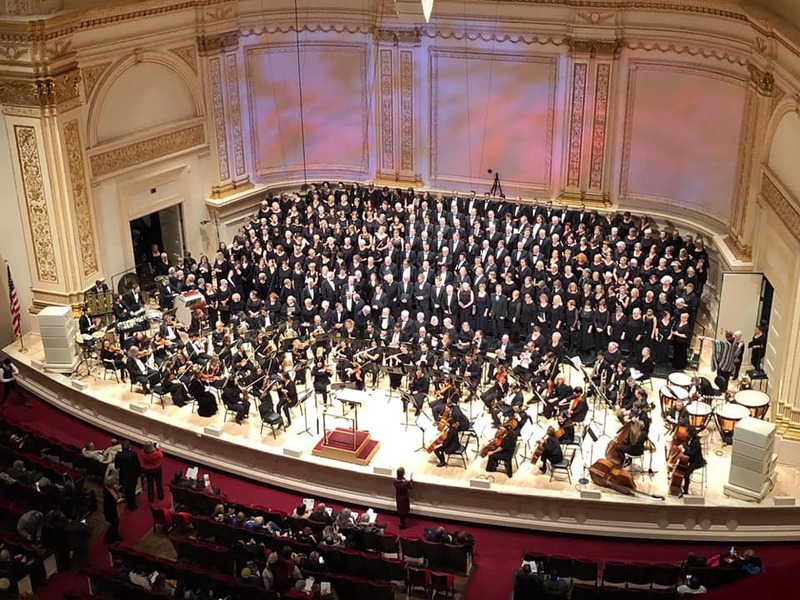 On 21st January 2019 The Village Singers from Sutton Benger in Wiltshire joined around 200 other choristers from around the world to perform The Music of Sir Karl Jenkins, featuring the US Premier of Symphonic Adiemus. Sir Karl Jenkins is Composer in Residence. The Village Singers are a non-audition community choir but we work hard to develop our individual musicianship and collective performance, under the expert guidance of our Musical Director, Rachel McCorry and Assistant Musical Director, Paul Wendell. The works of Sir Karl Jenkins are not unknown to us as we first performed The Armed Man, A Mass for Peace back in 2014. This represented a step-change in our performance and has led to this wonderful invitation to the Carnegie Hall. We are thrilled to have been invited to take part in this special performance with Sir Karl as composer in residence but the costs are a challenge to many of our members. We would very much appreciate the support of the local community and companies to enable all our members to benefit from this once-in-a-lifetime collective experience. If you would like to discuss sponsorship or benefactor options in more detail, please get in touch with Louisa Oldfield; email louisa.oldfield@gmail.com or telephone: 07870 279336. With many thanks for your interest.